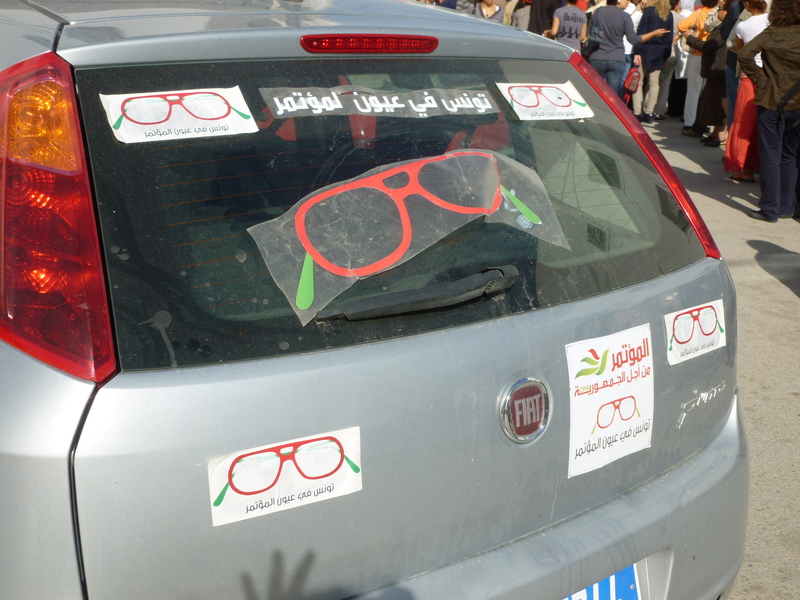 A CPR supporting car with Marzouki’s signature glasses. One of the continuing themes in Tunisian politics is the ever changing political landscape of Tunisia’s political parties. Changes within secular parties have become a daily occurrence, and the upcoming assembly of Ennahdha and the legalization of at least one Salafist party have shown the shifting sands of Tunisia’s electoral politics. As I noted earlier this month, the secular parties have had a notoriously tough time organizing. But as the results of the Egyptian elections have shown us, even strong organization among Islamists has not reduced their electoral vulnerabilities. This is the first in what I hope will be a series of updates on the state of political parties in Tunisia. Destourian Parties: According to a recent press release, at least four Destourian (or Bourguibist) parties are once again trying to coordinate their activities. Readers may recall that a large gathering of Destourians, led by transitional leader Beji Caid Essebsi last March, attempted to unite all of the former regime parties, only to collapse just days later. Ettaktol: Amidst further falls in (notoriously unreliable) Tunisian opinion polls, the political bureau of Tunisia’s third major party in the Constituent Assembly attempts a further reshuffling. The party leader, Mustapha ben Jafaar eluded to a potential alliance or fusion of Ettaktol with another political party. Their congress is scheduled for next fall. CPR: President Moncef Marzouki’s party, the CPR, after a mass exodus of officials from the party, attempted to calm supporters that it was breaking apart. Leaders reports that according to internal sources, the party is engaged at rebuilding its internal structures and recapitalizing its much depleted funds (it reportedly only has 11,000TND, or about $7,000 in its account?!). Regional congresses are scheduled in June. Republican Party (Former PDP/Afek): The Republican Party (an amalgamation of the PDP and Afeq) has called for a national unity government. Accusing the government of incompetence, Secretary General Maya Jbiri called on the government to admit its defeat and to reconstitute a much reduced caretaker government. Readers may recall that Ennahdha had proposed this after the elections, while PDP leaders said that their duty was to stand in opposition. PCOT: The Tunisian Communist Part (PCOT) saw another one of its offices attacked, this time just outside Tunis. The party has been the source of continued harassment in recent weeks. The party stopped short of accusing any party, although other attacks have taken place by Salafi activists in Tunis and in other regions. Meanwhile, the PCOT continues to call for the cancellation of Tunisia’s external debt incurred under Ben Ali. While the issue has been an issue for the PCOT for some time, it was recently resurrected with the election of French president Francois Hollande who indicated support for the measure during a visit to Tunisia last year. [Liberals] could organize protests and demonstrations, and act with often reckless courage to challenge the old regime. But they could not go on to rally around a single candidate, and then engage in the slow, dull, grinding work of organizing a political party that could contest an election, district by district. Political parties exist in order to institutionalize political participation; those who were best at organizing, like the Muslim Brotherhood, have walked off with most of the marbles. Facebook, it seems, produces a sharp, blinding flash in the pan, but it does not generate enough heat over an extended period to warm the house. More on Tunisian political parties here, here, and here. 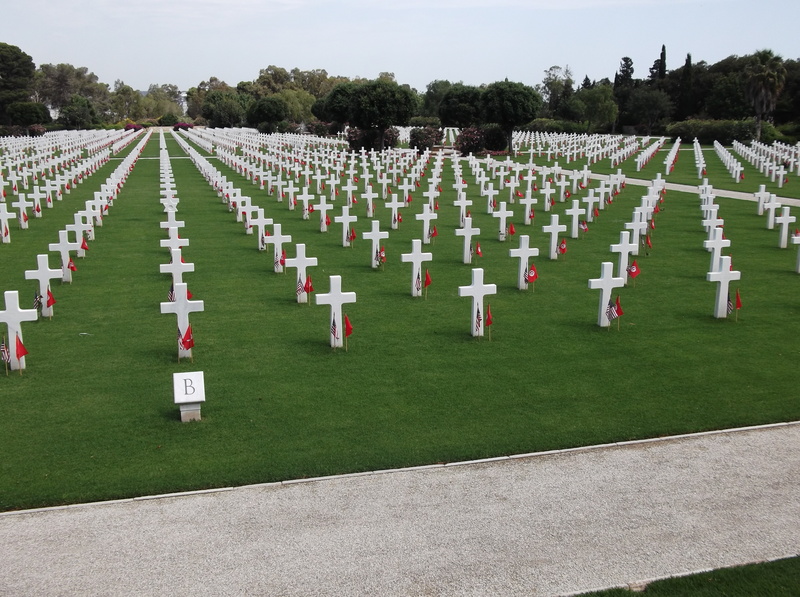 2,481 gravestones mark American soldiers enterred in the U.S. War Cemetery at Carthage. See also the slideshow of the 2012 Memorial Day commemoration below. Americans around the world celebrate Memorial Day today, a holiday to honor the dead, especially those who have fallen in battle. Nowhere are the commemorations more heartfelt, and personal, than in U.S. war cemeteries. Tunisia is home to one of 24 American war cemeteries around the world, and the only one in North Africa, where 2,841 American soldiersare enterred, their lives lost during the North African campaign against the Nazis in 1942-1943. Today the cemetery hosted a memorial service to honor these soldiers. 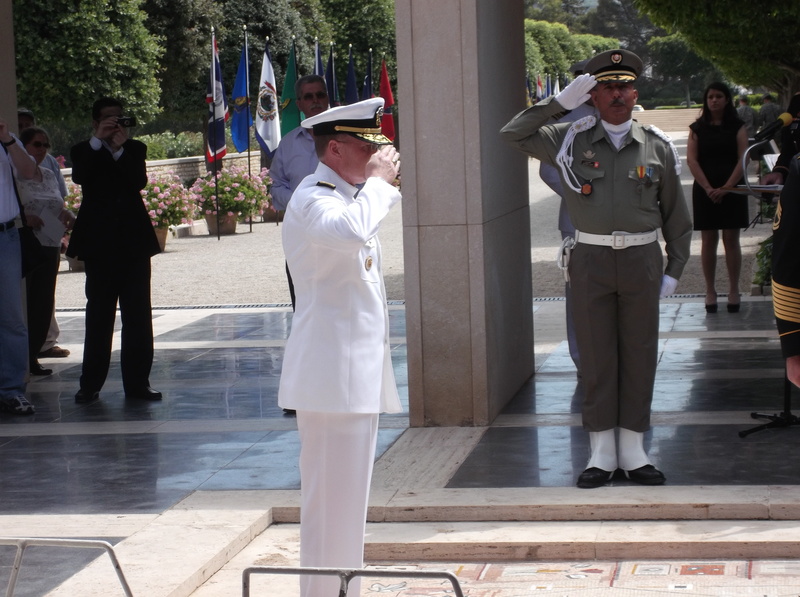 The setting was beautiful; a crisp clear summer morning in Carthage, a brass band from the U.S. Navy Europe band; and the always well-maintained grounds hosted the 100 or so visitors, mostly embassy personnel and their families. U.S. Ambassador Gordon Gray paid respect to not only those soldiers who fought against the Nazis, but also to those who died in Tunisia’s uprising in 2011. He noted the coincidence that Tunisia’s uprising began in the same places that are so familiar to U.S. students of World War II, Kasserine, Sbeitla, Gafsa, and Sidi Bouzid. Their cause was, as the Ambassador noted, universal – freedom. The commander of the U.S. Navy’s 6th fleet noted that, much like in Tunisia, so many of the fallen U.S. soldiers came from towns in the hinterlands, such as Iowa and Wisconsin. Foreign war cemeteries serve a dual purpose, the commemoration of the fallen, and the remembrance of battles that liberated foreign lands. In France, Belgium and England, home to 16 U.S. cemeteries, these dual roles coincide gracefully. The historical memory of the U.S. role in these countries during WWI and WWII, as well as afterwards in the reconstruction of Europe after WWII remains a positive sign of transatlantic relations. In interviews conducted among Tunisian visitors to the cemetery, one gets the impression that the cemetery is a historical oddity – beautiful, but strange. The memorial, unlike those in Europe, does not commemorate a shared history, a shared sacrifice. Nevertheless, these cemeteries, with their grace and tranquility, do represent something universal. To walk among the gravestones of soldiers who died so young and in foreign lands one cannot help but be moved. 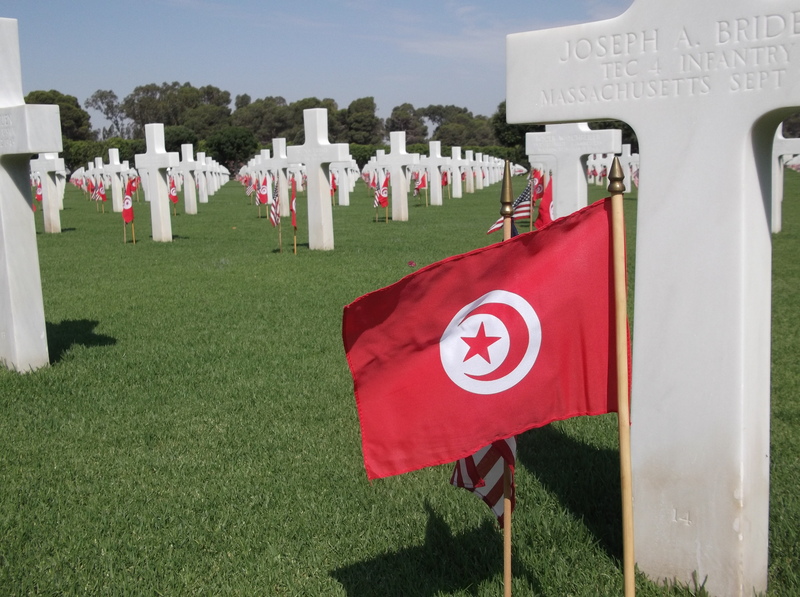 Tunisian and American flags were placed at the graves of 2,481 soldiers. 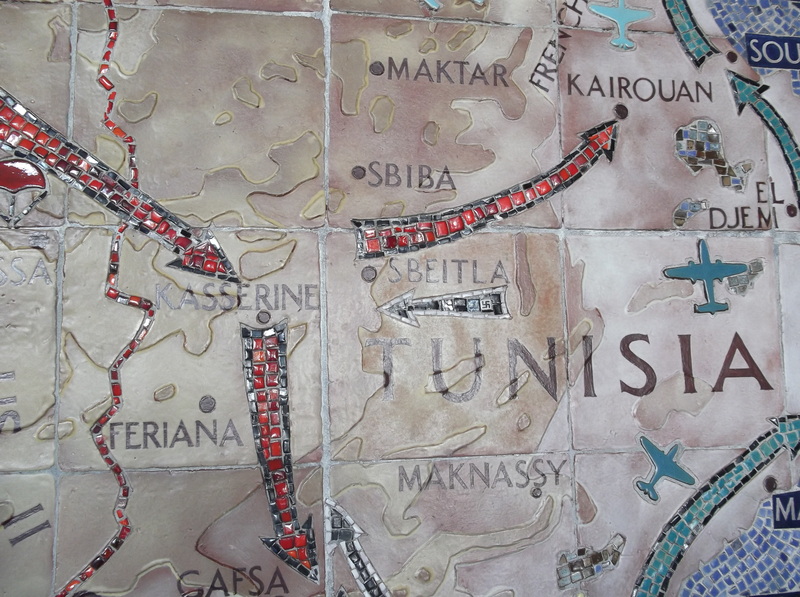 Mosaics at the cemetery show the battle maps of WWII, this one highlights the heated battles in central Tunisia. 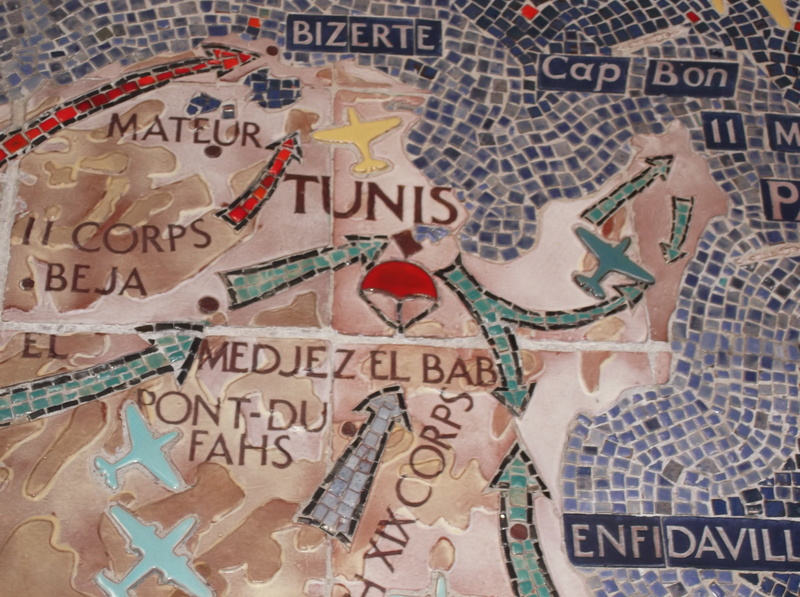 Mosaic showing the allied advance on Tunis on their way to Italy. 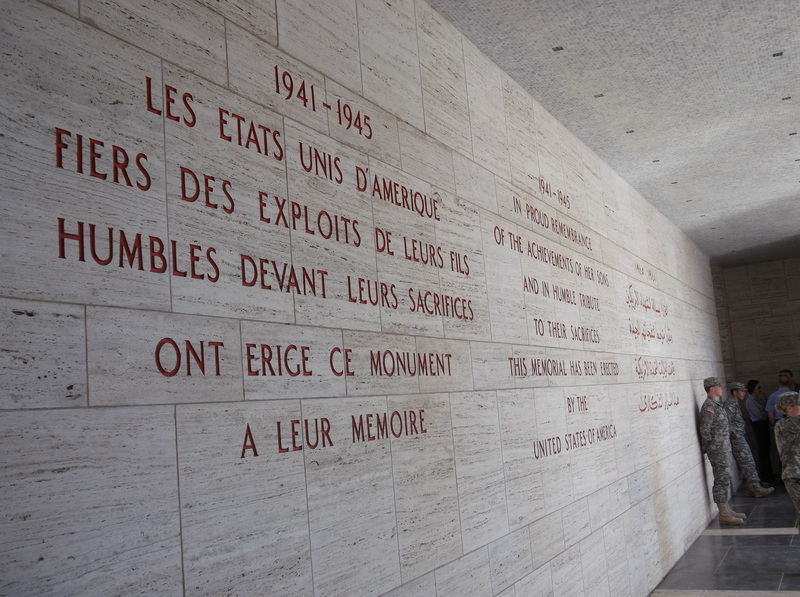 Memorials in French, English, and Arabic. 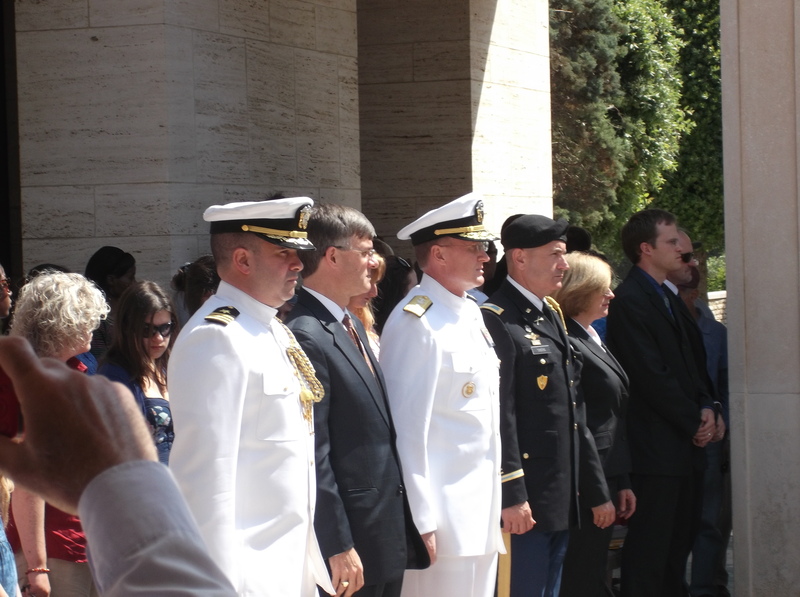 6th fleet commander, Vice Admiral Frank Pandolfe, Ambassador Gordon Gray, and other U.S. officials at the Memorial Day ceremony. 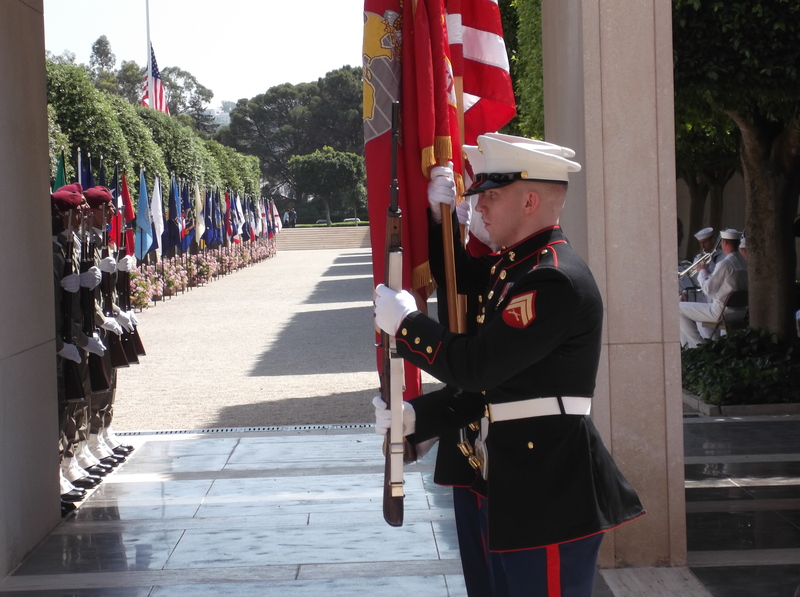 U.S. Marine Honor Guard and Tunisian troops at the Memorial Day ceremony. Wreaths to commemorate the unknown soldiers who died in North Africa. 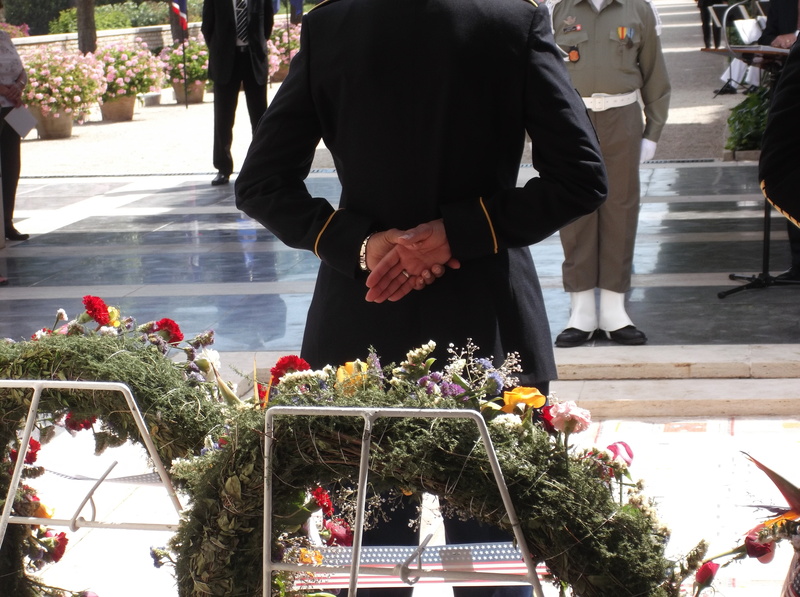 Vice Admiral Pandolfe salutes the tomb of the unknown soldier. 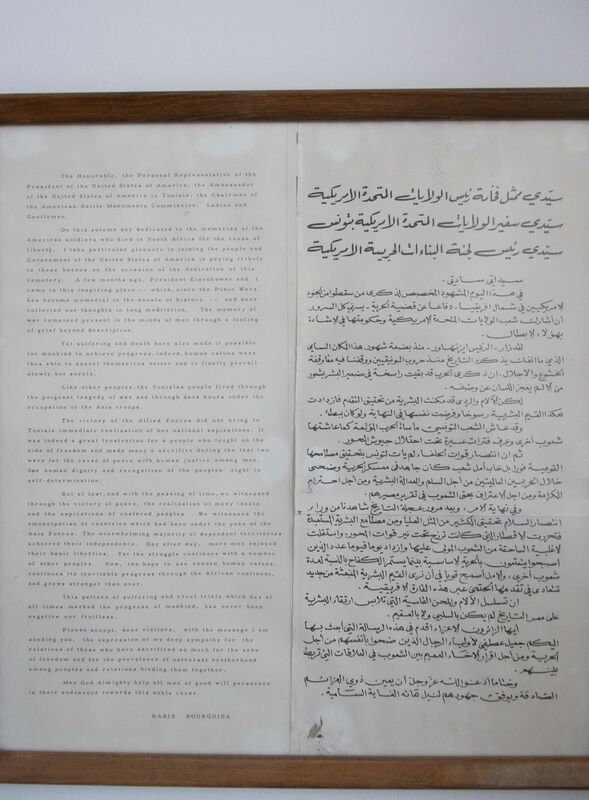 Habib Bourguiba’s speech on the opening of the cemetery. Today a Tunisian court condemned Yacine El Bdioui to six month suspended sentence for defaming the Tunisian flag. Unless he is caught again, he will serve no jail time. The case was brought against El Bdioui, a Salafi activist, after he was caught on video in February at a protest at Manouba University taking down the Tunisian national flag and replacing it with a black “salafi” flag – embedded with the Muslim profession of faith. The act of removing the flag was offensive to almost all who saw it – it represented for many a group of extremists trying to impose their will, and their morals, on the country. When a young women, Khaoula Rachidi, stood up to the Mr. El Bdioui, and replaced the “salafi” flag with the Tunisian flag she became a national symbol. President Moncef Marzouki openly praised the young woman and invited her to the presidential palace in Carthage. Opposition parties in the Constituent Assembly used the event for political gain as well – accusing the government of inaction. They attacked the government for laxity after the accused was left to his own devices for several weeks before he turned himself in – even though his identity was widely known. The verdict, like so many recent verdicts in the Tunisian justice system, and despite its softness, leaves a bitter taste. 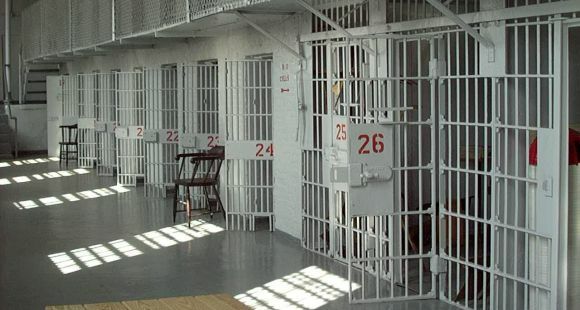 Firstly it shows the inadequacy of Tunisia’s criminal code. In spite of the fact that the crime was offensive, El Bdioui’s act was one of a vandal. His extremism was not directed at any person. In this way, it once again shows the timidity of the Tunisian justice system to stand up for basic civil rights. Similar to the sentences handed down last week against the translators, producers, and distributors of Persepolis on Tunisian television, the judges avoided the kind of sentences that would cause utter outrage – but do nothing to show that certain kinds of speech are and will be protected. Unlike the cases against Nessma TV or Attounsiya, there are no heroes here. El Bdioui was not charged with a spurious claim of being offensive or blasphemous, he was caught in flagrante delicto. But just like the two businessmen, he was caught in the web of Tunisia’s criminal code which gives too much power to the government to define what is offensive, and too little power to individuals who want to express their views. The verdict will no doubt draw comparisons as well to the recent harsh sentences given to two Tunisian atheists for posting offensive comments and photos on their Facebook pages (see my article on the Mahdia Affair). Critics of today’s sentence will argue that the disparity in sentences is cause for alarm (the two atheists were given 7 years of hard time, rather than a 6 month suspended sentence). It is difficult to argue that the disparity poses deeply troubling questions. But defenders of civil liberties should remain resolute – both sentences go against the principles of freedom of expression and show the arbitrariness of regulating speech. I was offended by Mr. El Bdioui’s act, just as I was offended when another group of extremists burned the American flag in front of the embassy one week earlier (no charges were brought). However, I do defend the right of people to protest peacefully and to express their views publicly. A defender of civil liberties cannot act one way toward people he supports and another for people he disapproves of. Today marks the beginning of the Jewish pilgrimage to the Ghriba on the Tunisian island of Djerba. While Judaism is the oldest religion continuously practiced in the country, Tunisia’s Jewish community has dwindled over the past 50 years from a population of over 100,000 in the 1950s to about 2,000 today. According to our reporter in El Ghriba, police and journalists outnumbered the pilgrims, mainly Jewish Tunisians, who attended the event. 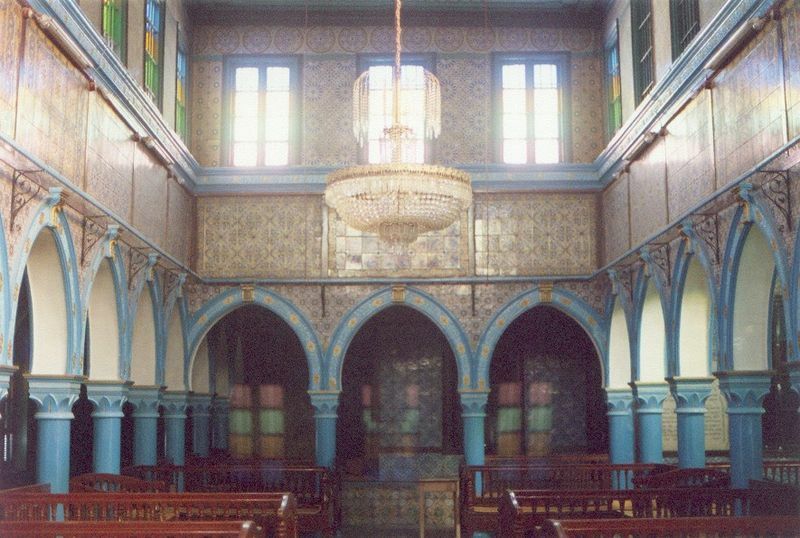 President Moncef Marzouki visited El Ghriba synagogue at Passover – which this year also marked the tenth anniversary of an al-Qaida-related attack that killed 21 European tourists. Wearing a traditional Tunisian hat known as a kabbus, often used by Jewish men in Tunisia as a religious head covering, Marzouki emphasised that Tunisian Jews are an integral part of Tunisian society and “any vandalism or violence against the Tunisian Jewish people, their property or their holy sites is totally unacceptable”. 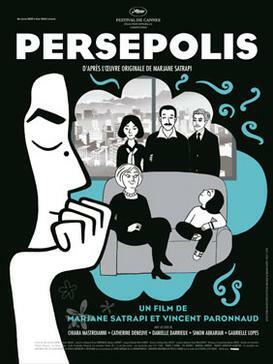 Today Nessma TV, a Tunisian television station, was found guilty of blasphemy and disturbing the public order for last October’s airing of the French-Iranian film Persepolis. Prosecutors brought lawsuits against the TV owner and other involved in the film’s production and translation into Tunisian dialect. * While both convictions are setbacks for free speech in Tunisia, it is the conviction of the film’s translator and producers that is perhaps the most disturbing aspect. The case has played out for over 8 months, beginning with the film’s airing just weeks before the country’s first democratic elections on October 23. Outraged by the film’s brief scene with God, protests ensued immediately after the airing – followed by a lawsuit brought by conservative lawyers. Nessma TV employees were threatened and Karoui’s house was ransacked. The new government, led by Islamist party Ennahdha, condemned the violence against Karoui – as well as the “provocation” caused by the film. The convictions show failures in Tunisia’s political system on three levels. Finally, there is the failure of the government to defend free speech. Each time the government has expressed its opinions about the free speech cases it has been equivocal. “We do not support violence or provocation to violence.” This is unacceptable in a case like this. The government has every right to condemn Nessma. It has every right to condemn the film. It has every right to encourage Tunisians to boycott the film or its supporters. But it is cowardly to not defend the people who translate art against prosecution; to not call for the end of authoritarian restrictions on speech; and to not differentiate between free speech and provocations. Protests are planned today in Tunis and other major cities to celebrate labor day. If the protests follow the story arc of other recent protests led by opposition groups, the headlines this evening will talk of the mobilization of Tunisia’s opposition, whether the government is prepared to deal with workers’ issues, and the continuing frustration many Tunisians feel about their economic fortunes. While Ennahdha has called on its supporters to join the protests in an effort to neutralize this potential bad publicity, the move has the potential to backfire. Opposition groups, angry at the violent crackdowns during recent protests, will be none too pleased to share the stage with supporters of the very regime that cracked down on them. The potential for confrontation is real. Photo-journalists will ensure that any violence is captured and broadcast around the world; the headlines will scream of further clashes between the opposition/secular forces and the Islamists – with some Salafis thrown in for good measure. But a far different story is playing itself out across cities and towns across the country. This is a story one is unlikely to see in the newspapers. It is the story of Ennahdha’s massive mobilization and organization that is taking place all across the country. While opposition parties debate in the halls of Tunisia’s big cities, most small cities have one political party – Ennahdha. In a recent trip north of Tunisia, I was struck that every city I went to had an Ennahdha office that was large, open, and active. Opposition offices were invisible. This was true before the elections, when secular parties were crushed, and it remains true today. Opposition parties remain fragmented, weak, and unable to reach out to ordinary voters. It is likely that Tunisia’s opposition movement will congratulate itself tonight after what they perceive is a groundswell of support they received in Tunis today. They will read headlines in the Washington Post or Le Figaro and know that the world is watching their struggle. They are correct that many Tunisians are frustrated at the government and its ability to change things quickly. They are correct that the world is watching. But they are mistaken if they believe that marching downtown today will suffice to reach their voters. The lessons of October’s defeat have not yet been learned by Tunisia’s opposition.